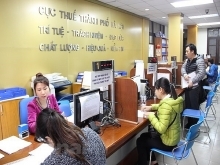 The State Treasury has mobilised 4.072 trillion VND (182.62 million USD) through auction of government bonds, according to G-bond auction organiser Hanoi Stock Exchange (HNX). The bonds included in an offered package of 6 trillion VND of G-bonds, including five-year bonds worth 3 trillion VND worth, seven-year bonds worth 1 trillionVND, 10-year bonds worth 1 trillion VND and 30-year term bonds amounting to 1 trillion VND. 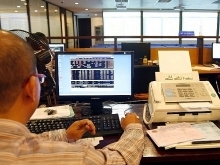 Through the auction, 2.76 trillion VND of five-year bonds were offloaded at the coupon rate of 6.11 percent per annum, 0.01 percent higher than that in the previous auction. 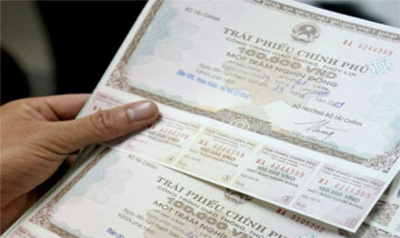 Meanwhile, 400 billion VND of seven-year term bonds were sold at the coupon rate of 6.62 percent per annum, together with 912 billion VND of 30-year bonds at the rate of 8.00 percent per annum. No 10-year term bonds were sold, said the HNX. So far this year, the State Treasury has mobilised over 206.87 trillion VND from G-bond auctions at HNX./.